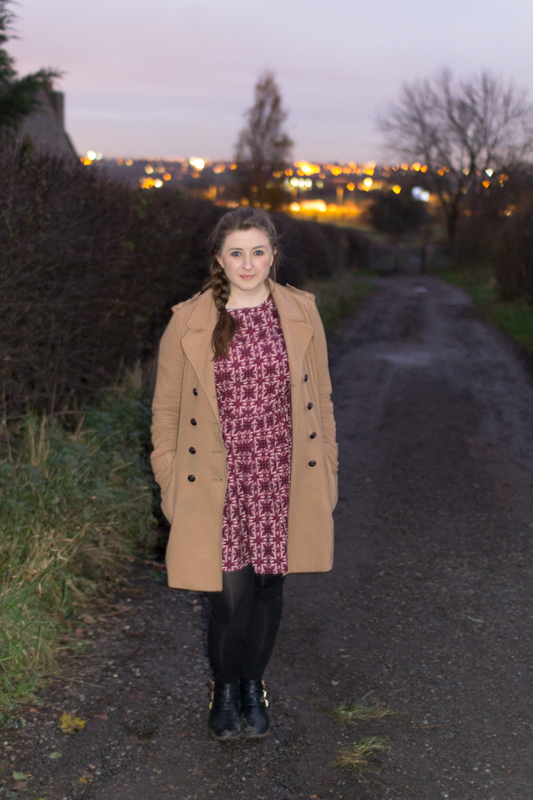 Vintage skater dress OOTD – I love my vintage prints and need a little more colour in my wardrobe and this gorgeous purple colour in this dress is great. 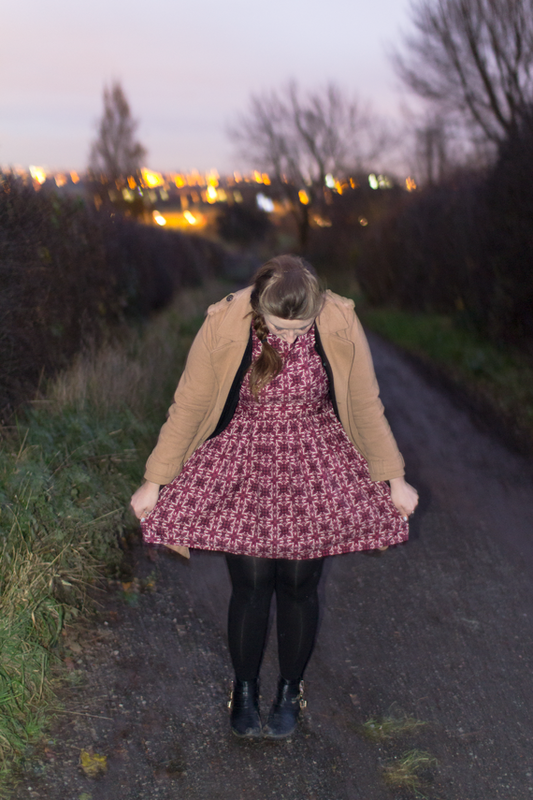 Skater dresses are very flattering for curvy girls as it really shows off your waist. Thick tights keep you very warm in winter but can often be pricey, around £8 usually. I found my 200 denier tights in Primark for £2.50 and I can’t tell the difference between them and the £8 ones I bought in Sainsburys. They are really thick but like regular tights, not knitted.